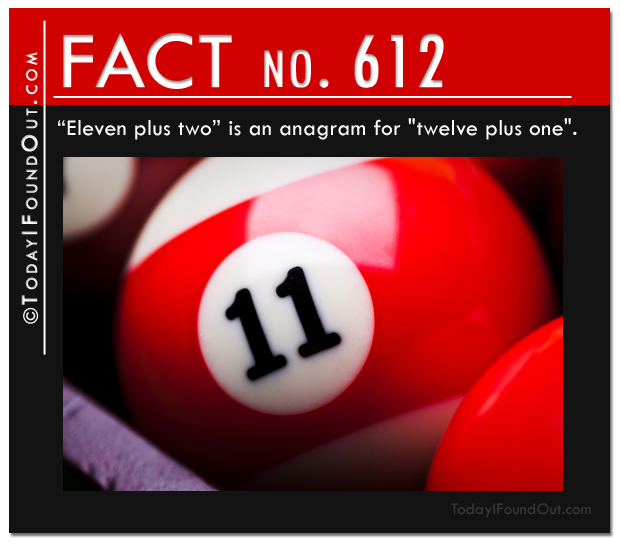 Fact 612: “Eleven plus two” is an anagram for “twelve plus one”. 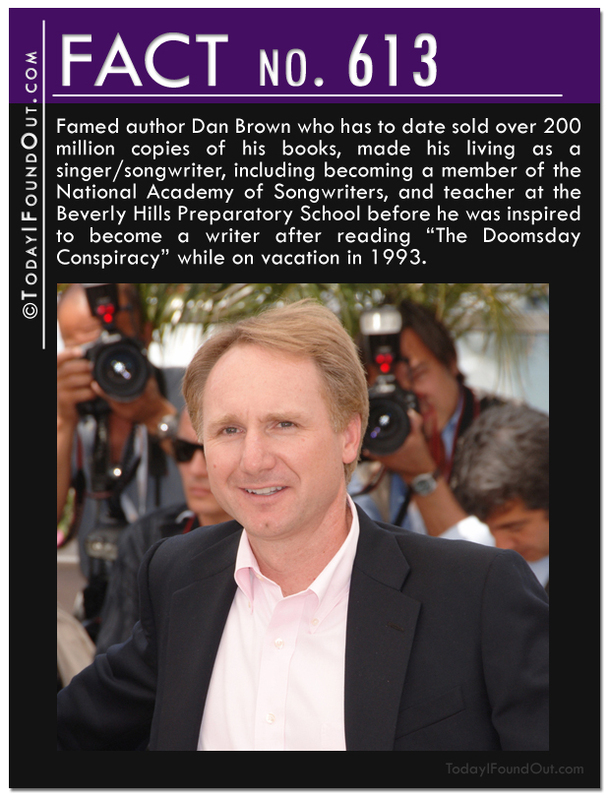 Fact 613: Famed author Dan Brown who has to date sold over 200 million copies of his books, made his living as a singer/songwriter, including becoming a member of the National Academy of Songwriters, and teacher at the Beverly Hills Preparatory School before he was inspired to become a writer after reading “The Doomsday Conspiracy” while on vacation in 1993. 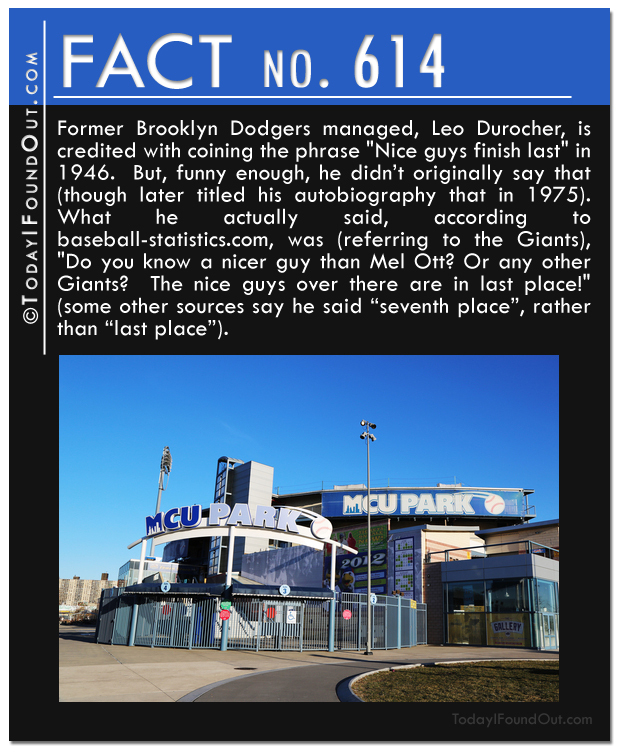 Fact 614: Former Brooklyn Dodgers managed, Leo Durocher, is credited with coining the phrase “Nice guys finish last” in 1946. But, funny enough, he didn’t originally say that (though later titled his autobiography that in 1975). What he actually said, according to baseball-statistics.com, was (referring to the Giants), “Do you know a nicer guy than Mel Ott? Or any other Giants? 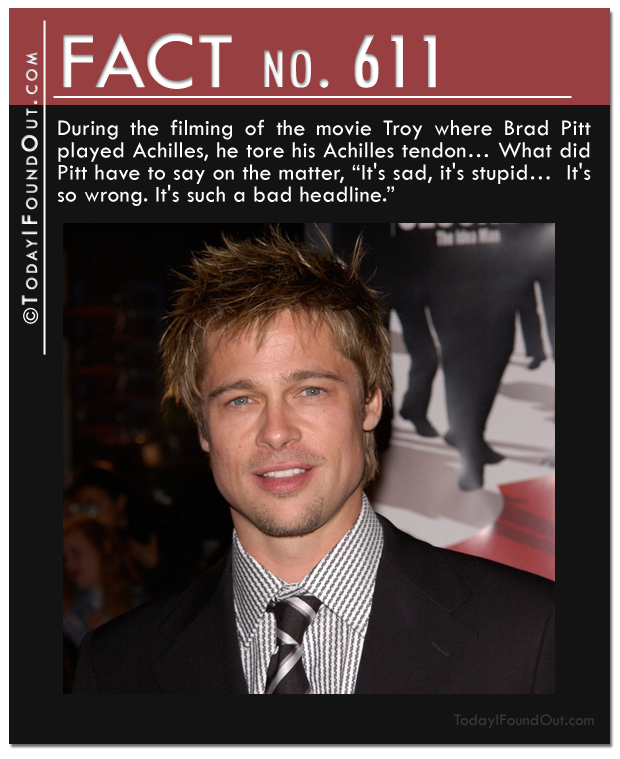 The nice guys over there are in last place!” (some other sources say he said “seventh place”, rather than “last place”). 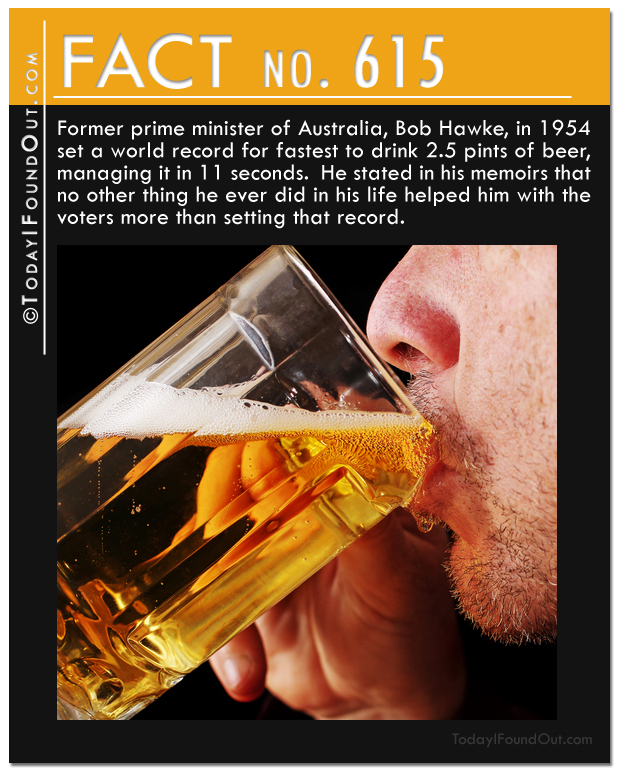 Fact 615: Former prime minister of Australia, Bob Hawke, in 1954 set a world record for fastest to drink 2.5 pints of beer, managing it in 11 seconds. He stated in his memoirs that no other thing he ever did in his life helped him with the voters more than setting that record. 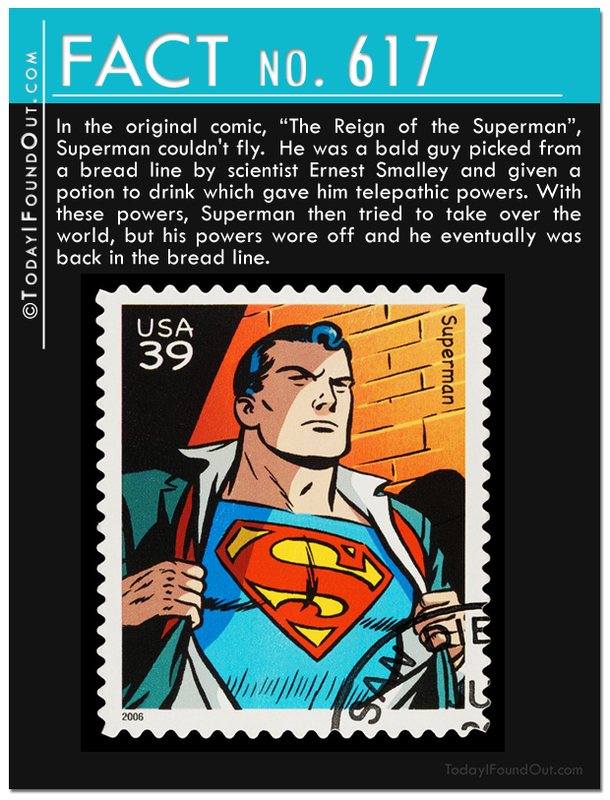 Fact 617: In the original comic, “The Reign of the Superman”, Superman couldn’t fly. He was a bald guy picked from a bread line by scientist Ernest Smalley and given a potion to drink which gave him telepathic powers. With these powers, Superman then tried to take over the world, but his powers wore off and he eventually was back in the bread line. 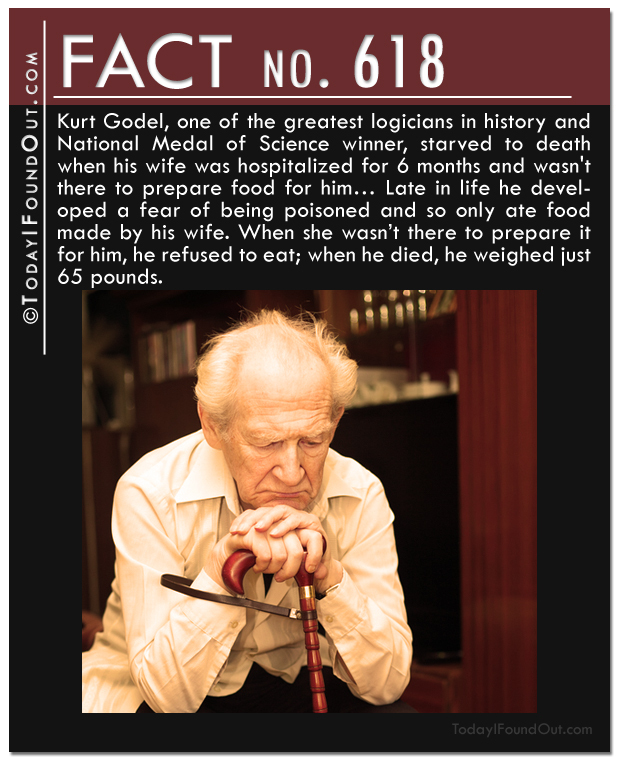 Fact 618: Kurt Godel, one of the greatest logicians in history and National Medal of Science winner, ended up starving to death when his wife was hospitalized for six months and wasn’t there to prepare food for him… Late in life he developed a fear of being poisoned and so only ate food prepared by his wife. When she wasn’t there to prepare it for him, he refused to eat and when he died weighed just 65 pounds. 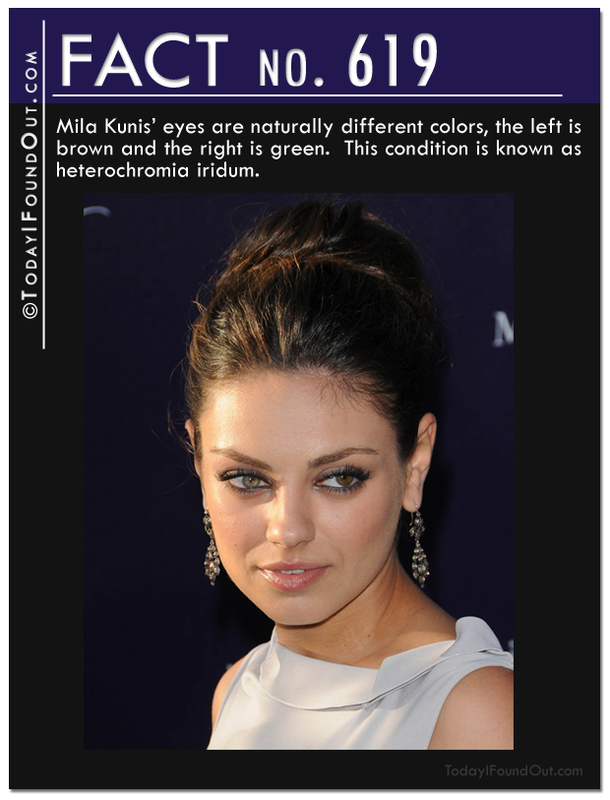 Fact 619: Mila Kunis’ eyes are naturally different colors, the left is brown and the right is green. This condition is known as heterochromia iridum. 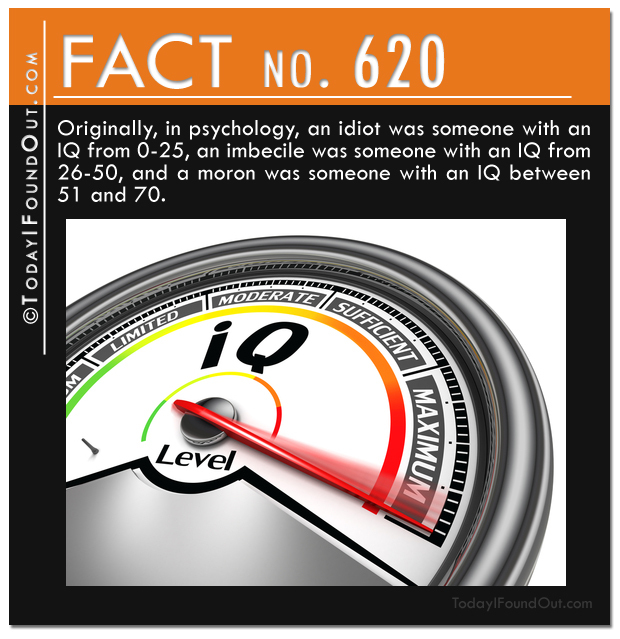 Fact 620: Originally, in psychology, an idiot was someone with an IQ from 0-25, an imbecile was someone with an IQ from 26-50, and a moron was someone with an IQ between 51 and 70.